WEDNESDAY, Feb. 21, 2018 (HealthDay News) -- The flu virus -- even if it doesn't cause symptoms -- can lead to serious complications after heart surgery, a new study by Dutch researchers suggests. Acute respiratory distress syndrome (ARDS), a potentially deadly infection in which fluid fills the lungs and makes it difficult to breathe, appears more common among heart surgery patients during flu season, the researchers found. Given the severity of this year's flu, the study's findings raise an important issue, said Dr. Marc Siegel, a professor of medicine at NYU Langone Medical Center in New York City. He was not involved in the study. "At a time when flu is dominant in and out of hospitals, and given that there are subclinical infections [infections without symptoms], it is possible that it can lead to ARDS," Siegel said. However, though it's plausible that the flu, even without symptoms, can increase the risk for ARDS after heart surgery, this study does not provide enough evidence to prove that flu causes ARDS, Siegel said. The study's lead researcher, Dr. Geert Groeneveld, from Leiden University Medical Center in the Netherlands, said that patients in the study were not tested for flu. For the research, his team collected data on more than 2,000 people who had heart surgery between January 2009 and January 2012. 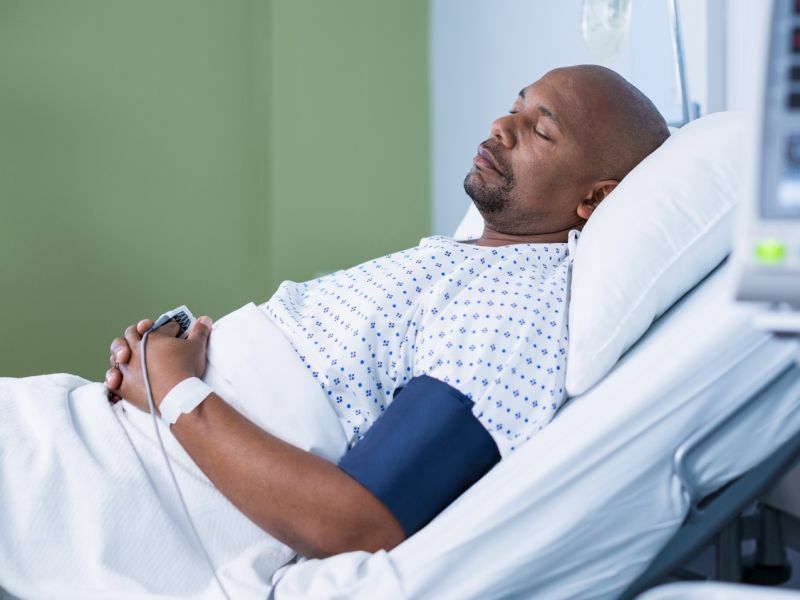 The researchers found that during "baseline periods," meaning non-flu seasons, 740 patients were admitted to the intensive care unit after heart surgery, and 5 percent developed ARDS. This baseline group would be compared with people who had heart surgery before flu season and during flu season. The group that had heart surgery before flu season included 984 people. Nearly 6 percent of them developed ARDS. During flu season, 289 people had heart surgery, and 9 percent developed ARDS, the researchers found. According to Groeneveld, about 17 percent of people who develop ARDS after surgery die. "Cardiac surgery during influenza season is a risk factor for ARDS," he said. If the relationship between cardiac surgery during flu season and ARDS is confirmed, Groeneveld said, then diagnostic strategies aimed at detecting and treating flu before surgery might reduce the number of patients who develop ARDS after cardiac surgery. In severe flu seasons, Siegel said, it might be a good idea to test patients for flu before surgery. "Flu could be a factor in worse outcomes after surgery, and it's well worth screening for it," he said. "If it were proven that flu caused worse outcomes, then you would delay non-urgent surgery," Siegel added. In the meantime, everyone set for surgery should get a flu shot in the weeks before their operation, he said. "The flu shot is completely misunderstood," Siegel said. "Flu shots decrease severity of flu and decrease the spread of flu, so somebody going into a hospital -- of course they need a flu shot." The report appears in the Feb. 22 issue of the New England Journal of Medicine.